YA Bound Book Tours: Book Blitz: The Urban Boys: Discovery of the Five Senses by K.N. Smith! Book Blitz: The Urban Boys: Discovery of the Five Senses by K.N. Smith! 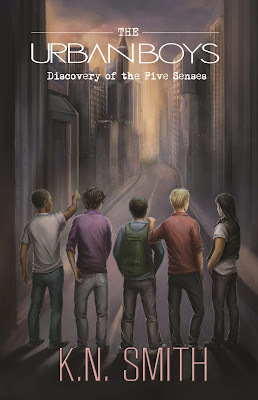 YA Bound Book Tours is organizing a Book Blitz for: The Urban Boys: Discovery of the Five Senses by K.N. Smith. This blitz will run December 28th to January 3rd. Overview: The story’s small town of Danville Heights, a carefully crafted universe, contrasts with the dark, gloomy town of Sandry Lake, where evil abounds. Upon the boys’ mysterious incident with the energy source, they’re instinctively called to Sandry Lake to root out evil. Their senses guide them each time. However, secrecy about their mission, furious battles with evil thugs, extreme fatigue, and stress and pressure soon overwhelm the boys, but they must find a way to embrace their fate. A lurking, Dark Stranger seems to know their plight, and a strikingly beautiful, fearless girl lends way to heightened confusion. Shocking details about these two characters, and the evil antagonist, the dreaded Druth, twist and grind the story even further. Despite tension and fierce battles, will the boys hold it together long enough to fulfill their destiny? Intriguing, intelligent, and full of action, The Urban Boys: Discovery of the Five Senses offers a memorable, emotion-packed, thrilling ride for young and mature readers alike! K.N. Smith is an American author and passionate advocate of childhood and family literacy programs throughout the world. She continues to inspire students of all ages to reach their highest potential in their literary and educational pursuits. 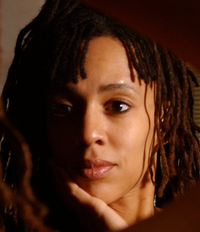 An established non-fiction writer, Smith chose the teen fiction genre as a way to enhance her daughters’ (then) high school literary experience, and to engage other youth in literacy development. Her creative literary flair sweeps across pages that twist, turn, and grind through elements of paranormal and action-adventure in diverse, exciting, edge-of-your-seat narratives. She states, “My hope is that The Urban Boys will spark imagination in a wide variety of readers while elevating global literacy efforts. It’s important that we have diverse families of readers for generations to come.” K.N. Smith has over twenty years experience in writing, communications, and creative design. She lives with her family in California.